The Best GPS Tracker SIMs – Get Them Here! As you probably already know, a GPS tracker needs a SIM card to be able to transmit out the GPS location in the form of a text message (or make and receive calls). They’re like mini mobile phones in this sense – but with excellent built in GPS functionality. Getting GPS Tracker SIMs can be a bit of a headache – which network should you go with? Pay as you go, or contract? How much will you actually be using the GPS Tracker? Being your friendly GPS Tracker experts, we think we have the ideal solution. We work with GiffGaff, because they’re the cheapest pay-monthly providers around. They work on the o2 network, which has great coverage in the UK. Sound good? For free GPS Tracker SIMs, – with an extra £5 FREE credit, click here! 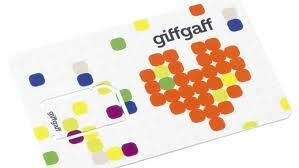 GiffGaff to GiffGaff calls are totally free!